Sigh. Columbia's New York Review of Magazines has a lengthy look at the "the short, happy, tragic life" of Play, the Times' much-beloved sports magazine and, for my money, sportswriting's last good shot. 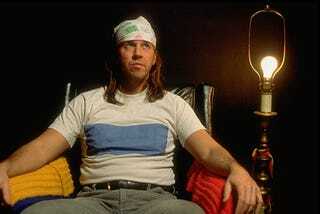 Maybe, if you squinted hard, you could imagine the Foster Wallace story in Sports Illustrated. Maybe. It's a sad state of affairs when a magazine premised on the idea that sportswriting is more than just a wordy ad campaign for whatever's on ESPN that week is too fragile and idealistic to live past the age of 3. RIP.